An East Hills/Greenvale location, featuring a newly renovated, state-of-the-art campus accommodating their preschool’s rapidly increasing number of students, and the Hebrew school and educational programs. Chabad of Roslyn is a comprehensive center for full-service Judaism. 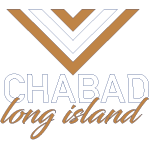 Chabad offers Jewish education from early childhood to adulthood, a community synagogue with all ancillary services including Bar and Bat Mitzvah prep, and daily, weekly and holiday prayer services, summer and winter day camps, and much more. With an average 100 active participants in its daily dose of Jewish life, Chabad’s wide-ranging programs are enjoyed by all members of the Jewish community.